I invite you to come Alive with me. Play with your body with yoga, your mind with meditation, your soul with healthy, delicious vegetarian food. 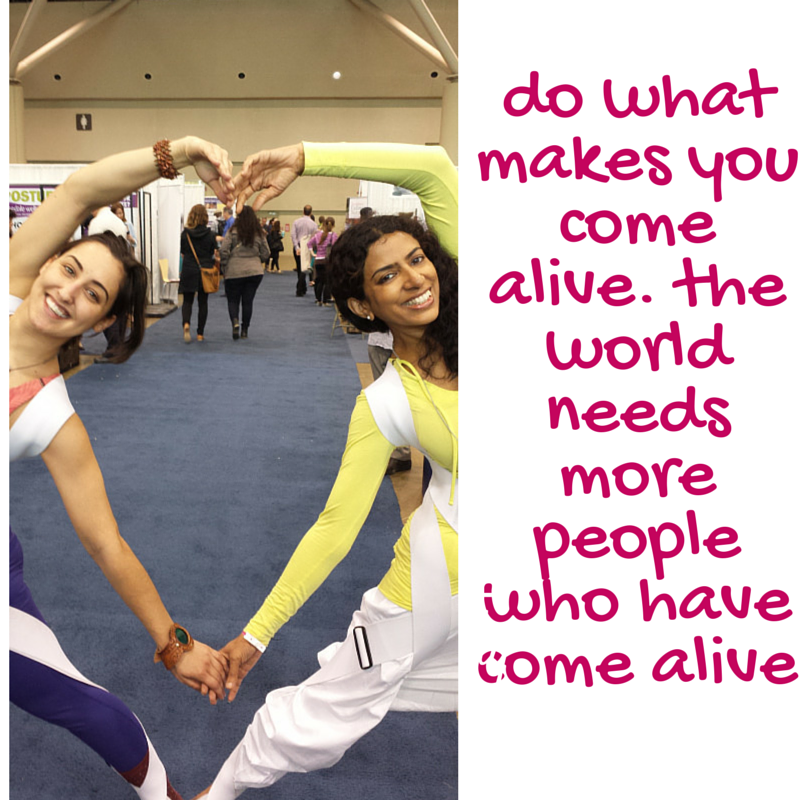 Come alive with yoga to heal your mind, body and soul. Learn quick and easy tips to get your body tuned up in shape with simple yoga poses you can do anytime. Learn easy ways to meditate to bring a sense of alive and calm centred focus to your daily life. Learn amazing ancient indian vegetarian cooking tips in a modern canadian context. Learn to use spice to spice up your life, activate your body and breathe new life into dull food. My ongoing attraction to yoga started early on. With my childhood upbringing in a southern indian brahmin household. Growing up a tamil girl in the cosmopolitan capital city of Delhi, I tasted the light & subtle flav ours of my southern background and and also sampled the hearty mixes of northern influences. I hope to share loads of colourful stories in each of my posts. I was also fascinated by gentle living. I wouldn’t want to touch meat even though my parents allowed us the opportunity to taste and sample, I just couldn’t. the idea of cutting up an animal and cooking it was unpalatable. Later as an adult, I realized many health benefits from a veg diet. Thanks so much for stopping by my blog, I look very forward to catching up on yours! its great to see everyone sharing what they know.. I watch out for your posts & can’t wait to steal 🙂 some of your recipes to make them my own!! thanks for stopping by.. It is always such fun to explore new ingredients, flavors, and spices! Looking forward to checking out more of your blog! it sure is & always a treat to hear and learn from others. Thanks so much for stopping by. Me too Alison, I have a lucky job that takes me all over canada & sometimes the United States so I can combine my 2 loves, eating & traveling.. We might have something more in common other than delicious south indian food, my sister studied Japanese in Nagoya & got me inspired about japanese culture. I hope to visit Japan some day & will definitely keep your tips in mind! Thanks so much Vini I’m honored that you thought of me for this lovely award! I accept it wholeheartedly & will visit the link for details. What incredible luck that you found my blog today so that I could find yours! 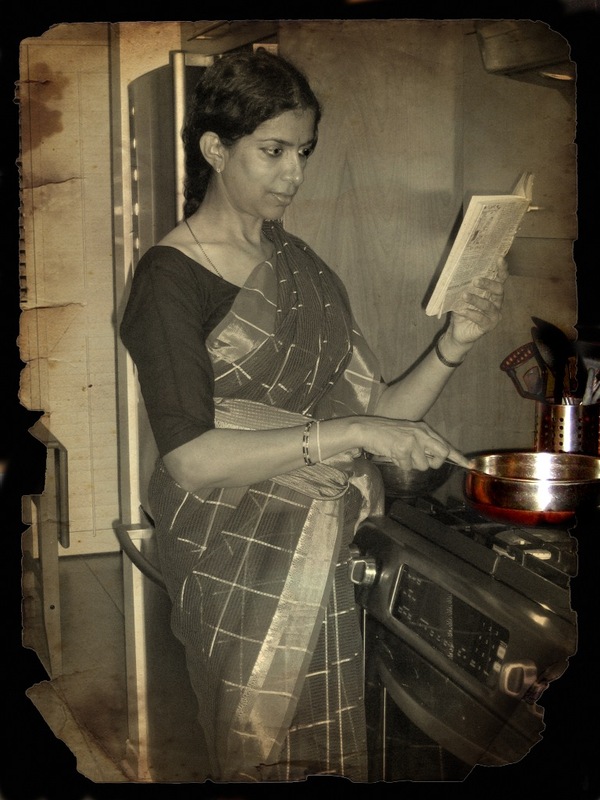 I absolutely love Indian food and am hoping I can learn how to make some dishes now that I’ve got a source…a teacher! How serendipitous is WordPress!! thanks so much for stopping by. It was great finding you too! I just love how life is bringing so many wonderful people thro’ wordpress. take care. Thanks Liana, I’d love learn from you. Great to know you like Indian cooking. You’re in the right place, I love cooking Indian & love teaching others on how to make it easy & simple. Wonderful to find you..
Hi Charu! I think your blog is great and I have nominated you for ‘Blog of the Year 2012’ Award! Click the link for instructions. Congratulations! Congrats on your awarda& thanks so much for nominating me. It’s so much fun to receive & pass it on..
Hi Charu, I’ve nominated you for the Beautiful Blogger Award. There’s no obligation to accept or re-post it, this is just my way of saying ‘I enjoy reading your posts’. thanks so much Angie.. what a lovely surprise. I’ve received this award before & will accept it again from you.. so agree with your belief that health & beauty go together… . I do not expect any action to be taken, or for you to generate a post, unless you wish to pass on the award. Thank you so much Fae..I appreciate it. Hope to write a post soon about it. Thanks so much. I’ll head over right away to your link.. I love everything about spices hence your blog name caught my attention. And i am so glad that I visited. Lovely recipes. I have to keep coming back now. thanks for stopping by.. you’re right. what would LIFE be without SPICE? Hi Charu, I have nominated you for the Versatile Blogger Award & The Illuminating Blogger Award! 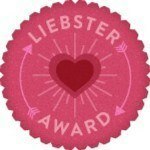 Just stopping by to say I really enjoyed following your blog and I have nominated you for a Kreativ Blogger Award. If you’re interested in, pop by this link http://matchamochimoo.wordpress.com/2013/03/28/thanks-awards-on-march-2013/ for more details and follow the rules. Keep your good work. you’re welcome, keep your good work. Thanks a lot…….what a wonderful moment. I’ll head over to your link sooon.. Thanks for visiting my blog! You were asking if poutine could be vegetarian. Of course it can! Smokes Poutinerie offers a vegetarian option at all their locations. Check if there is one near you. To make it at home, use thickened vegetable broth with a bit of ketchup and a tiny bit of cider vinegar for the tang. And don’t forget to use cheese curds! Bon appétit! Thanks for the nice words and for stopping by. I’ll be checking things out here as well. Your photos make everything looks so delicious! And I’m always looking for GF ideas for my GF friends…. Heeey Charu! 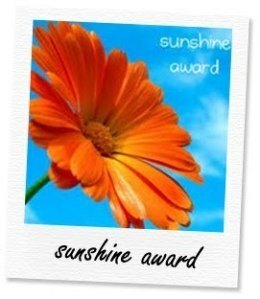 I’d like to pass on these awards (don’t groan heh heh): Best Moment Award & Shine On Award. Please drop by http://bakeslave.wordpress.com/awards/ to pick up your badges. PS: Waiting for your next blogpost – you have been missed! Thanks for the nomination Nat ! And your awards…..that’s a lot of awarding, well deserved. You’re right. I’ve missed myself too, 😉 just back from work travel , hope to post soon!! I love spices and look forward to receiving your spicy posts, to spice up my life and cooking! Have a wonderful week! Thank you .. What a pleasant surprise 🙂 & congratulations mike!! Thank you so much.. Appreciate your thinking of me.. I’ll head over to your site soon to check out the award..
Do you live in Canada? we are on the same time Zone! I do! in Ontario.. wherebouts are you? Your blog is a lovely discovery… look forward to learning more. Thank you Charu for liking me and following my blog. Look forward to more of your recipes and staying connected. wow! that’s awesome Peri. I checked out your page. what a great idea to collect your fave indian recipes & share on your page. I’ll head over now to post a comment rightaway!!! Love, love, love Charu’s yoga class. Body, mind, and soul are all touched. She teaches me that we have to take care of our inner body as well as our outer body and that both are connected. I always leave her sessions feeling refreshed and energized – keep up the amazing work, Charu! I’m so glad I found you and this amazing website. I’m coming to Toronto in September and I would love to meet up with you! The dates are sept 14-17, 2017 for an intense class of pure bioenergy level 1. Maybe you want to take it too?! I dont have your email address!